Brussels, September 2017 – The European Public Affairs Consultancies’ Association (EPACA) welcomes the adoption of the own-initiative report on transparency, accountability and integrity in the EU institutions. The positive sprit of the report is encouraging and, in particular, underlines that dialogue between law-makers and those affected by the laws is essential for democracy. EPACA fully supports the call that staff and members from all institutions only meet with registered lobbyists. We are equally in favour of more resources to the Transparency unit and the Joint Secretariat in order to properly monitor and enforce the register. It is for the Parliament to set its own internal rules but EPACA would welcome a mandatory legislative footprint as a step towards more transparency. EPACA urges the Council to join the Joint Register. However, if this for some reason does not happen, the Parliament and the Commission should not wait, and move ahead to implement the changes presented in the proposed IIA. 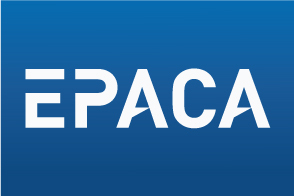 EPACA also fully supports to simplify the reactivation process for lobby badges and the removal of the restriction of not allowing more than four pass holders from the same organisation in the Parliament at the same time. It has been a year since the Commission presented its proposal for a mandatory register and, worryingly, the negotiations have yet to begin. Hence, we hope that the clear mandate given in this report will increase the speed of the process. EPACA looks forward to continued discussions on how to increase transparency and improve the regulatory environment within which we all operate.